Another of the sea-god Nereus' daughters; from the Neris Monument in Lykian, dated about 390-380 BC, Xanthos, modern Günük, south-western Turkey. 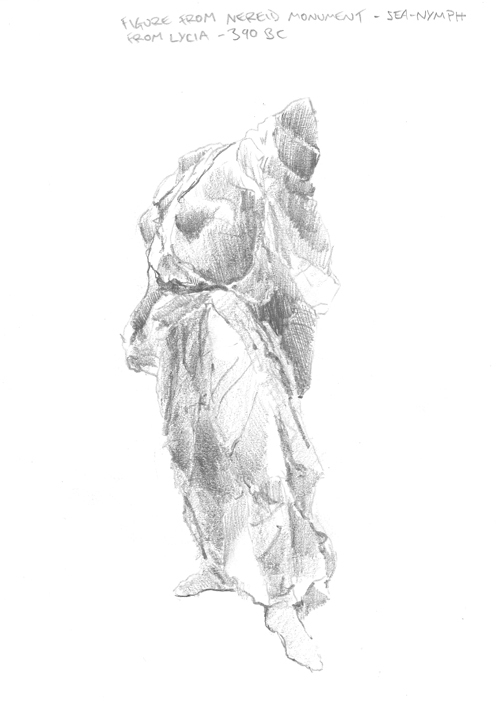 Again I was trying to capture in a quick sketch the beautiful, florid, ethereal carving of drapery, visualised by the Sculpture billowing in the Ocean current. You can find these figures in Room 17 in the British Museum.